Banco Popular has engaged with the so-called "millenial" generation through events focusing on technology and entertainment. 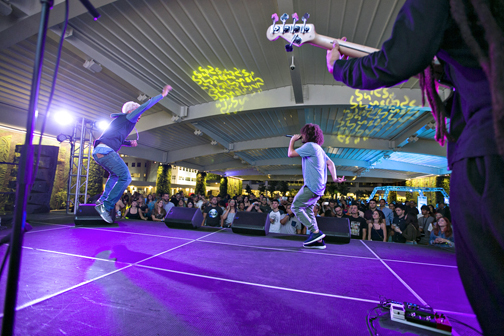 Banco Popular has engaged with the so-called “millenial” generation through events focusing on technology and entertainment. Saying that it has achieved a 97 percent satisfaction rate among some 1,500 Pueto Rico college students, Banco Popular is succeeding in locking up a position for itself among the emerging “millenial” generation, which has a distinct preference for technology as part of daily life. In recent years, the financial institution has invested resources in technology and product innovation to attract that generation of 18-to-30 year-olds, company executives said. As part of that effort, it has conducted a series of islandwide events for millenials, including college tours. Popular’s offer focuses on strengthening financial knowledge — savings, money management, effective use of credit cards, job interviews, among others — for a segment known for its preference to invest money in unique experiences, a rapid adaptation of digital services and lack of experience with financial tools. “We are well aware that many of these young people were in high school during the 2008-09 financial crisis and they all grew up communicating through social media,” said Denise Draper, senior vice president of Marketing & Customer Knowledge at Popular. “We want to offer this segment valuable information, but in an entertaining way. We know that their schedules are full so we use methods more in tune with their daily reality. We’re here to support them in all their financial needs,” Draper said. The bank said 72 percent of its customers between the ages of 18 and 24 use the online banking tool “Mi Banco.” Only 29 percent use bank representatives in branches. This trend was reflected in a recent college tour where more than 1,500 students participated in workshops that integrated young local influencers, music and entertainment to guide and generate a conversation on “Banking 101” issues included in Popular’s website. “We want to connect with our young customers in a way that they can feel at ease and put at their disposal a highly experienced staff to take advantage of all the financial solutions we offer,” said Enrique Martel, vice president in charge of Products, Segments and Marketing Digital in Marketing & Customer Knowledge at Popular. The bank intends to continue investing in efforts to inform this and other segments of the population to increase the credit management capacity of these clients, executives said. Hey Buddy!, I found this information for you: "Banco Popular gains ground with ‘millenials’". Here is the website link: https://newsismybusiness.com/popular-ground-millenials/. Thank you.